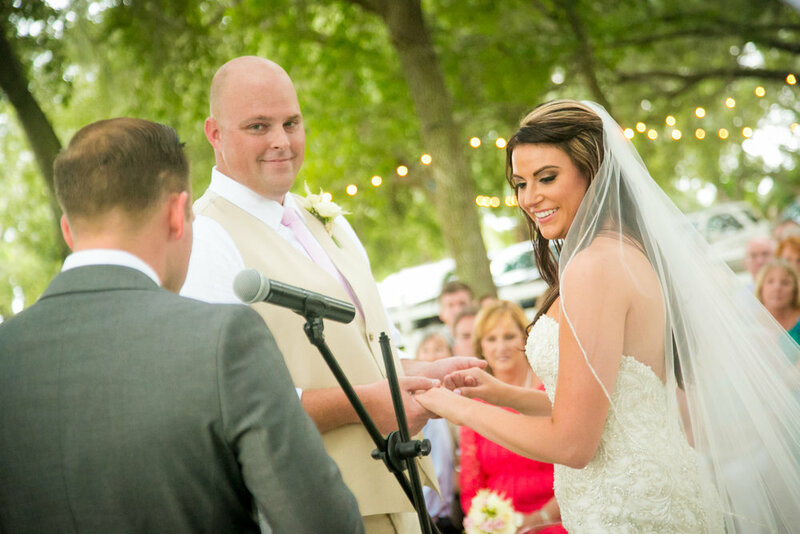 Up the Creek Farms in Brevard County, was the perfect venue for the rustic chic wedding. For Jacklyn and Robert, they were determined to have an outdoor wedding in Florida, come rain or shine! The weather held up for a short and sweet ceremony. Luckily this bride and groom, were super laid back, and were more excited for the wedding reception. They had lots of wedding uplighting, a delicious candy bar, and a great DJ with DJ Shane Entertainment.